Deafness shows up more often in white-coated animals, and therefore may be linked genetically to coat color. The dog may be totally deaf (bilateral) or deaf in only one ear (unilateral). Unilateral deafness is more difficult to detect, as the dog quickly learns to compensate for her loss. A BAER (brainstem auditory evoked response) test is used to detect deafness; it measures the brain's response to sound. It takes a very dedicated owner with very special abilities to provide for the protection and safety of a totally deaf Jack Russell. Some deaf dogs do well living with hearing dogs, or with deaf people who have taught the dog sign language. But there are also incidents of biting, which have occurred as a result of an exaggerated startle response from a deaf dog. A bilaterally (both ears) or unilaterally deaf dog must not be bred. It is strongly suggested that all breeding stock be BAER tested before they are bred. 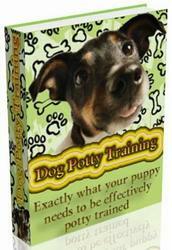 The test is not difficult or painful for the dog. 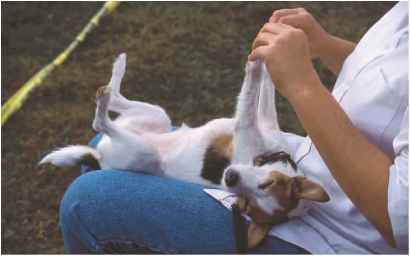 How to train a deaf Jack Russell Terrier?